CMC is delighted to offer you a detailed look into the evolution of the D50 race cars with this Lancia-Ferrari bundled edition. It consists of 2 models. 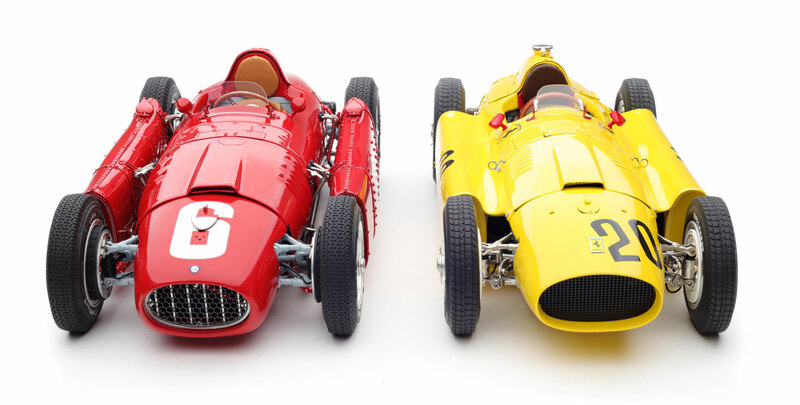 The one with #6 is an epitomy of the Lancia D50 from 1955, whereas the one with #20 represents the further-evolved Ferrari D50 from 1956. This bundled edition is limited to 1000 sets worldwide, and the two component replicas are available only in the form of a set.